"...Playwright Robert Harling's sharp, snappy, heart-wrenching, Louisiana-favored dialogue receives its most worthy due in this Actors Co-op production; cast with a spot-on ensemble of six amazing actresses, smoothly and expertly helmed by director Cameron Watson." "...Six Southern women with deceptively delicate exteriors give six Actors Co-op treasures the chance to strut their comedic-dramatic stuff like the L.A. theater stars they are in Robert Harling’s Steel Magnolias." 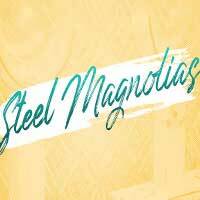 "...Watching this excellent current revival of Robert Harling’s Steel Magnolias at Actors Co-op, I was reminded yet again of the power of a strong ensemble. Solo shows and two-handers certainly have their place, but there is something about the interaction among a group of talented actors, where many things combine to become one greater thing, that seems to me to be the very heart of whatever magic theater creates. That magic is on full display in this new production of Magnolias, which is undeniably enjoyable and sure to be a crowd-pleaser." "...Watson’s top quality ensemble is headed by Nan McNamara as Truvy, the always ready to help hair stylist who takes a young newcomer to town under her wing as her assistant. Heidi Palomino effortlessly shows the various stages of Annelle’s growth from shy stranger to party girl to born again Christian crusader. Treva Tegtmeier gets to do a lot of the heavy lifting as M’Lynn, Shelby’s protective and caring mother, and she does it without breaking a sweat. Ivy Beech makes a lovely and lively Shelby who dazzles in an array of pink outfits. Adding to the merriment is Deborah Marlowe as Ouiser, the neighborhood curmudgeon who’s been in a bad mood for 40 years. Lori Berg shines brightly as Clairee, the wife of the recently deceased mayor who learns to be her own strong woman. These six lovely “magnolias” show they have the steel needed to weather any storm."